First-Party Bad Faith in Twenty-first Century Georgia - Southern Loss Association, Inc.
Georgia has historically presented insurers and insureds a “neutral playing field,” following closely the positions advocated by the National Association of Insurance Commissioners (NAIC). Court decisions historically treated coverage questions in the first-party setting much the same as other contracts, applying the general rules of contractual construction. The legislatively‑provided remedy of a penalty for an insurer’s bad faith refusal to pay a claim clearly due has existed since the nineteenth century. Georgia courts have steadfastly refused to erode or expand the requirements for a bad faith claim, despite repeated and creative attempts by attorneys representing insureds. The prerequisites for such a claim, the available defenses to it, the procedures for making it and the quantum of proof required for success have been frequently stated by the Georgia appellate courts and the federal courts applying Georgia law, although certain formulations fall in and out of favor over time. While some quarters of the bar feared during the 1980s and early 1990s that Georgia was on its way to becoming a “consumerist” state for insurance coverage issues generally and bad faith law in particular, those fears have proven to be overstated. This paper will attempt to review briefly some of the basics of first party bad faith law in Georgia at the end of the twentieth century, and analyze recent cases to attempt to examine emerging trends in the opening years of the twenty-first century. 85 Ga. 751, 765, 12 S.E. 18, 23 (1890) (citations omitted) (emphasis supplied to point out the still-familiar formulation). Similar language, to the effect that the good faith of the insurer must be judged as of the time of trial, based upon the substance of its defense to the claim, is found in (and often quoted from) Interstate Life & Accident Insurance Co. v. Williamson, 220 Ga. 323, 324, 138 S.E. 2d 668, 669 (1964). “[G]ood or bad faith of the insurance company, in refusing to make payment to the beneficiary, can only be determined from evidence that is relevant and admissible for a determination of the case on the merits.” Georgia Farm Bureau Mutual Insurance Co. v. Jackson, 240 Ga. App. 127, 522 S.E.2d 716 (1999), appears to ignore this rule, but it continues to represent an aberration rather than a trend. The provision for damages and attorney’s fees, being in the nature of a penalty, must be strictly construed. Progressive Casualty Insurance Co. v. Avery, 165 Ga. App. 703, 302 S.E.2d 605 (1983). United States Fidelity & Guaranty Co. v. Biddy Lumber Co., 114 Ga. App. 358, 151 S.E.2d 466 (1966). This remedy repeatedly has been held to be the exclusive remedy for an insurer’s refusal to pay an insurance claim properly due. Leonard v. Firemen’s Fund Insurance Co., 100 Ga. App. 434, 111 S.E.2d 773 (1959); Globe Life & Accident Insurance Co. v. Ogden, 182 Ga. App. 803, 357 S.E.2d 276 (1987), cert. denied, 182 Ga. App. 910, 357 S.E.2d 276; Collins v. Life Insurance Co. of Georgia, 228 Ga. App. 301, 491 S.E. 2d 514 (1997). The statutory requirement that the insured make a demand prior to claiming bad faith damages has been held to be a condition precedent to such a claim. See, e.g., Hanover Insurance Co. v. Hallford, 127 Ga. App. 322, 193 S.E.2d 235 (1972); more recently, Brown v. Ohio Casualty Insurance Co., 239 Ga. App. 251, 519 S.E.2d 726 (1999). The demand must be made at least sixty days before suit is filed in order to give the insurer a reasonable opportunity to pay the claim, Cagle v. State Farm Fire & Casualty Co., 236 Ga. App. 726, 512 S.E.2d 717 (1999), and it must be made at a time when the claim is presently payable. National Casualty Co. v. Borochoff, 45 Ga. App. 745, 165 S.E. 905 (1932); Napp v. American Casualty Co., 110 Ga. App. 673, 139 S.E.2d 425 (1964). An insurer’s denial of the claim does not waive the sixty day period, nor waive the necessity of a demand. Kilpatrick Marine Piling v. Fireman’s Fund Insurance. Co., 795 F.2d 940 (11th Cir. 1986). The insurer has consistently been absolved from liability for bad faith where there was a legitimate dispute as to whether the claim was properly payable given its unique facts. United States Fidelity & Guaranty Co. v. Woodward, 118 Ga. App. 591, 164 S.E.2d 878 (1968). To authorize imposition of the penalty and attorney’s fees, it must appear that the basis of the insurance company’s position as to the amount of liability was frivolous and unfounded. Georgia Farm Bureau Mutual Insurance Co. v. Boney, 113 Ga. App. 459, 148 S.E.2d 457 (1966). Insurers have also been held harmless for litigating a question under unclear legal precedents. Brown v. Seaboard Lumber & Supply Co., 221 Ga. 35, 142 S.E.2d 842 (1965); United States Fid. & Guar. Co. v. Woodward, supra; Federal Ins. Co. v. National Distributing Co., 203 Ga. App. 763, 417 S.E.2d 671 (1992), cert. denied, 203 Ga. App. 906, 417 S.E.2d 671. In either of these instances, the insurer risks, to some extent, being found wrong in its belief in hindsight, but both of these rationales are intended to prevent this result. To support a cause of action under O.C.G.A. § 33-4-6, the insured bears the burden of proving that the refusal to pay the claim was made in bad faith. Interstate Life & Accident Insurance Co. v. Williamson, 220 Ga. 323, 324, 138 S.E.2d 668 (1964); Royal Insurance Co. v. Cohen, 105 Ga. App. 746, 747, 125 S.E.2d 709 (1962). ‘A defen[s]e going far enough to show reasonable and probable cause for making it, would vindicate the good faith of the company as effectually as would a complete defense to the action.’ Travelers Ins. Co. v. Sheppard, 85 Ga. 751, 765, 12 SE 18 (1890); Interstate Life & Accident Insurance Co. v. Williamson, 110 Ga. App. 557, 559, 139 S.E.2d 429 (1964). ‘Penalties for bad faith are not authorized where the insurance company has any reasonable ground to contest the claim and where there is a disputed question of fact.’ Fortson v. Cotton States Mutual Insurance Co., 168 Ga. App. 155, 158, 308 S.E.2d 382 (1983).” Central National Insurance Co. v. Dixon, 188 Ga. App. 680, 683, 373 S.E.2d 849 (1988). Southern Fire & Casualty Insurance Co. v. Northwest Georgia Bank, 209 Ga. App. 867, 867-68, 434 S.E.2d 729, 730 (1993). This formulation, harking back to Williamson and Sheppard, has been repeated and followed in the new millennium. “Where there is a disputed question of fact whether an insurer had a reasonable and probable cause for refusing to pay a claim, bad faith penalties are not available.” Worsham v. Provident Life & Accident Insurance Co., 249 F. Supp. 2d 1325, 1341 (N.D. Ga. 2003) (“Worsham II”). While sometimes stated slightly differently, (“reasonable and probable cause for making” the refusal, Moon v. Mercury Insurance Company of Georgia, 253 Ga. App. 506, 559 S.E.2d 532, 534 (2002)), (“reasonable defense which showed its good faith in denying coverage,” Guideone Life Insurance Co. v. Ward, 2005 Ga. App. Lexis 874), the general meaning has remained unchanged: the insurer may not be penalized for exercising its right to have a trier of fact determine coverage where there are material facts genuinely in dispute. In the context of insurance, bad faith means any frivolous and unfounded refusal in law or in fact to comply with the demand of the policyholder to pay according to the terms of the policy When the insurer’s refusal to pay the claim rests on unsettled areas of the law, or involves bona fide disputes as to the facts supporting the insured’s claim, relief under the statute is unavailable. The jury was not authorized to award the [insured] bad faith penalties if [the insurer] had any reasonable ground to contest the claim and there were disputed questions of fact Our courts have consistently held that no bad faith exists where there is a doubtful question of law involved. Where the questions of law involved in a case are intricate and difficult of solution, the insurer has the right to contest payment of the claim and is not guilty of bad faith in refusing to pay it. Giddens v. Equitable Life Assurance Society of the United States, 356 F. Supp. 2d 1313 (N.D. Ga. 2004). While seemingly a proposition too obvious to merit mention, a number of recent opinions have considered a bad faith claim and denied it in the context of finding no coverage under the contract of insurance. This seems self-evident, since the claim must be payable to trigger a bad faith denial, but this rule increasingly finds its way into the holding or the language of opinions. See, for example, Anderson v. Georgia Farm Bureau Mutual Insurance Co., 255 Ga. App. 734, 737, 566 S.E.2d 342, 345 (2002): “penalties for bad faith are not available where, as here, the insurance contract does not provide the coverage demanded.” For similar statements, see State Farm Mutual Automobile Insurance Co. v. Johnson, 242 Ga. App. 591, 530 S.E.2d 492 (2000); Oak Road Family Dentistry P.C. v. Provident Life & Accident Co., 370 F. Supp 1317 2d (N.D. Ga. 2005); and All American Life Insurance Co. v. Puckett Brothers Manufacturing Co., 139 F. Supp. 2d 1386 (N.D. Ga. 2001) (finding no bad faith where a lack of coverage was found as a matter of law). Similarly, denial of the claim is a seemingly obvious prerequisite for a finding a bad faith. Where the insureds sued insurers for an alleged systematic undervaluation of automobile physical damage claims, the court found that, in light of the appraisal and subsequent payment of the claims (post-litigation), there could be no bad faith as a matter of law. McGowan v. Progressive Preferred Insurance Co., 2005 Ga. App. Lexis 784 (July 5, 2005). Judge Barnes, joined by Judges Ellington and Bernes, dissented, finding that the insurers’ allegedly fraudulent systematic undervaluation of auto damages was not rendered moot by payment of the individual appraisal awards (although the dissenting opinion clearly searched for a source of damages other than § 33-4-6). The burden of proof remains on the insured to prove the elements of his claim for bad faith damages, as seen in Giddens v. Equitable Life Assurance Society of the United States, 356 F. Supp. 2d 1313 (N.D. Ga. 2004), and Georgia Farm Bureau Mutual Insurance Co. v. Williams, 266 Ga. App. 540, 597 S.E.2d 430 (2004), cert. denied, 2004 Ga. Lexis 752 (“The insured bears the burden of proving bad faith…”). This firm has the pleasure of representing Arrow Exterminators, Inc. In that regard, we have been referred the matter of your company’s handling of claims submitted on behalf of Arrow, and your denial of Arrow’s attempts to obtain information regarding the claims being paid by TIG and its claims agent, Midlands. Arrow’s efforts to obtain information about its own claims have been met with nothing but stonewalling by your office. For example, your office continues to change the individuals in charge of the Arrow account and claims processing, which is totally unacceptable. Every time representatives from Arrow or its agents contact TIG, they are told of yet another individual being assigned to the account. When contacted, this individual will then claim to know nothing about the problems being experienced by Arrow…. Because of this improper handling of these claims, TIG is now apparently taking the position that the aggregate under the applicable insurance policies has been exhausted, and no further claims will be paid. This is unacceptable. Had the Gates claims been adjusted properly, the aggregate would not be close to exhaustion. Moreover, Arrow had a limit of $ 25,000 per unit in place for each of the 32 unites at the Gates. (As you know, only about half of the units have made claims.) Accordingly, the total amount that could be paid under all damage claims at the Gates would be $ 800,000. TIG, however, has seen fit to pay in excess of that even though approximately half of the units made claims. With the Gates now having outstanding claims in excess of one million dollars, with several large claims outstanding, TIG, because of its negligent handling of claims, cannot now take the position that the aggregate is exhausted. It is likely that the Gates will initiate litigation to recover on the additional claims being submitted by the unit owners at that project. Please be advised that Arrow will hold TIG and Midlands Claims fully responsible for any and all claims being submitted by Gates, as well as other Arrow customers, because of the negligent or intentional mishandling of Arrow’s claims. If Arrow had been apprized of these large claims payments including paying for repairs totally unrelated to termite damage, this matter could have been avoided. However, because of your company’s conduct in this matter, TIG must be responsible for and continue to pay the claims as submitted. Please contact me immediately to discuss the matter. 136 F. Supp. 2d at 1356. First, it does not contain any reference whatsoever to a claim for bad faith. The term “bad faith” is not included anywhere in the letter. The applicable statute is not cited as a shorthand. The letter does not even state that Arrow itself is contemplating litigation against [the insurers]. Second, the letter does not request that [they] pay any specific loss. The letter merely expresses general dissatisfaction with the manner in which [they] adjusted claims and disagrees with [their] contention that the aggregate limit had been exhausted. Because Georgia courts require that the demand requirements be strictly construed and Arrow’s purported demand letter entirely fails to meet the requirements, the Court must grant summary judgment in favor of [the insurers] on Arrow’s claim for bad faith damages. 136 F. Supp. 2d at 1357. The filing and dismissal of a prior lawsuit has been held not to cure the failure to make a proper demand before filing suit. “In order to recover under O.C.G.A. § 33-4-6, the insured must submit evidence at trial showing compliance with the statute’s demand requirements.” Stedman v. Cotton States Insurance Co., 254 Ga. App. 325, 328 562 S.E.2d 256, 259 (2002). See also Worsham v. Provident Life & Accident Insurance Co., 249 F. Supp. 2d 1325, (N.D. Ga. 2002) (“Worsham I”). Proof of bad faith may be made in several ways: through the traditional showing that the insurer had no reasonable basis for denying the claim, or as suggested by some opinions in dicta, by showing that the stated reason for denial was pretextual. In this regard, see Worsham II, 249 F. Supp. 2d 1325, where Judge Story, while ultimately holding that the insurer cannot be liable for bad faith penalties as a mater of law because there is no question that the plaintiff/insured’s disability status is a question for the jury, but stating (unnecessarily?) that the insurer’s reasons for denying the claim based on its IME do not appear pretextual. And finding that the “circumstances of the particular case” (i.e., that the insurer had gone farther and challenged its doctors/reviewers with information provided by the insured’s doctor) made it clear (based on the evidence provided by the insurer) that the question of coverage was a genuine one. 249 F. Supp. 2d at 144-45. This opinion arrives at the correct result under well-settled Georgia law, but appears to contemplate arriving at a different result under slightly different facts. See also Judge Barnes’ special concurrence in Wallace v. State Farm Fire & Casualty Co., 247 Ga. App. 95, 539 S.E.2d 509 (2000), in which she indicates (in obiter dicta) that, under the right facts, an independent medical exam might not provide a “safe harbor” from bad faith for an insurer denying a claim for (unspecified) “other reasons.” This line of reasoning may foreshadow the “testimony of an expert cannot be the sole basis for avoiding bad faith” doctrine that has now been engrafted onto § 33-4-6 (see discussion below). Since the bad faith remedies under Georgia law are statutory and in the nature of a penalty, they have frequently been held to preclude any other remedy for an insurer’s failure to promptly pay a proper claim. This accords with the general notion that, where a legislature has determined to enact a scheme of penalties in a given area, it is presumed to have enacted all the penalties that it deems appropriate. Two recent cases have reaffirmed this principle. In Anderson v. Georgia Farm Bureau Mutual Insurance Co., 255 Ga. App. 734, 566 S.E.2d 342 (2002), the insured requested his Georgia Farm Bureau agent to write a larger limit on his house, which was under construction, and requested personal property and additional living expense coverage. The agent declined all three requests, and issued a dwelling-only coverage in the lower amount (presumably what the house was worth at that unfinished stage of construction). After a total fire loss, the insured was paid his policy limits, but sought to “expand” the amount available to him through several theories: he sought coverage for the desired (but not included) portions of coverage (such as personal property), he sought consequential damages for Georgia Farm Bureau’s alleged delay in responding to his claim, and for bad faith damages. Holding that no extra-contractual claims were cognizable because the bad faith statute provided his sole cause of action, and finding that bad faith damages were not allowable where the policy did not provide coverage for the disputed claims. See also Wallace v. State Farm Fire & Casualty Co., 247 Ga. App. 95, 539 S.E.2d 509 (2000). Assignability. Canal Indemnity Co. v. Greene, 265 Ga. App. 67, 593 S.E.2d 41 (2003), cert denied 2004 Ga. Lexis 394 reaffirms the well-established proposition that bad faith claims, being punitive in nature, cannot be assigned by the insured. While the court recognizes that other claims that may exist in the liability insurance context (such as for consequential damages flowing from the insurer’s exposing the insured to collection of a judgment on a covered claim), the bad faith penalty is personal, between the insurer and insured. Judge Andrews’ dissent in State Farm Automobile Insurance Co. v. Health Horizons, Inc., 264 Ga. App. 443, 590 S.E.2d 798 (2003), cert. denied 2004 Lexis 241 (the majority opinion not reaching the question). Substantive Law. A federal district court, analyzing the issue in the context of a suit based upon diversity jurisdiction, has held that the attorneys’ fees provisions (at least) of the Georgia bad faith statute are substantive in nature, and are therefore applicable in federal court where Georgia law is applied in the first-party insurance context. Experts. Judgment as a matter of law was granted to insurers in several cases based upon the findings of an IME that there was no disability that would trigger coverage under the policy, e.g. Shaffer v. State Farm Mutual Automobile Insurance Co., 246 Ga. App. 244, 540 S.E.2d 227 (2000), but heir continued vitality must be reexamined in light of the 2001 changes regarding the “sole expert” basis discussed below. The Court of Appeals of Georgia recently affirmed summary judgment to an insurer, rejecting the affidavit testimony of former Insurance Commissioner Tim Ryles that the insurer had acted improperly, Guideone Life Insurance Co. v. Ward, 2005 Ga. App. Lexis 874 (August 8, 2005). Without adopting the “side-wind” characterization of Chief Justice Bleckley, the court nevertheless rejected the proffered expert testimony out of hand, and found that, because a dispute of fact as to whether coverage existed, summary judgment for the insurer on the bad faith claim had been properly entered below. In 2001, the Georgia General Assembly revised the penalties applicable to bad faith, allowing for a maximum recovery of 50% of the claim amount where bad faith is shown, up from 25%. A copy of the statute as it existed in 2000 and as it exists in 2005 are attached as appendices. The amendment also created a $5,000 minimum allowable award (regardless of the amount of the claim), to provide a remedy for insureds with a small amount at issue. These amendments were somewhat famously brought to pass by then‑speaker Tom Murphy, who had a client with an undervalued auto damage claim, which the insurer virtually “dared” him to try, given the unavailability of any meaningful remedy. Cases have routinely noticed the new, higher limitation, but no cases have explicitly reviewed or analyzed its application in a given case. The statutory scheme also resulted in the enactment of O.C.G.A. § 33-4-7, designed to provide a remedy for third-party claimants for automobile physical damage claims. While these claims have long been amenable to settlement separate from the more complex personal injury issues, insurers have historically had no incentive to reach an equitable settlement with a claimant not their insured, and the appraisal provisions available to a first-party claimant were unavailable. This statute has not yet been cited in a reported decision, perhaps because the small amounts at stake in disputed claims are resolved through compromise. A more uncertain change to § 33-4-6, and perhaps a more problematic one for the practitioner, involves a sentence inserted by the 2001 amendment (and included in § 33-4-7): “The action for bad faith shall not be abated by payment after the 60 day period nor shall the testimony or opinion of an expert witness be the sole basis for a summary judgment or directed verdict on the issue of bad faith.” The first clause, dealing with the non-avoidance of liability by untimely payment, is puzzling: no case has been discovered endorsing such a practice, and the wording of the statute before the 2001 amendment would seem to preclude it: the insured’s right to bad faith damages accrued on the sixty-first day after a proper and timely demand, and would be unaffected by intervening payment of the claim, as a logical matter. The second clause may be an attempt to curtail either of two practices that insurers may have indulged in previously: the use of independent medical examinations to defeat bad faith, and the use of the appraisal provision to quiet insureds upset over low-ball offers some insurers have made for automobile physical damage. To the extent that these practices have been used in an abusive fashion, they will be curtailed by the amendment’s language; this, however, does not address the problem of legitimate uses of these vehicles. For instance, if a doctor accurately indicates to the insurer the insured is not disabled, based on an appropriate examination and review of records, does this not provide a complete defense to the insurer as to any bad faith claim, for it has a reasonable basis to contest coverage? Must a second IME be sought, or is that enough to overcome the prohibition against summary judgment based on the opinion of “an expert?” Where an insurer’s expert opines that a fire was intentionally set, can this opinion be relied upon as a vehicle to defeat bad faith? In each instance, there may be other evidence (the insured’s medical records, the insured’s financial motive to commit arson) that may provide the needed additional basis, but this is anything but clear from the language of the statute, which has not yet received judicial review. Challenges on the basis of equal protection under the Georgia Constitution or “void for vagueness” challenges seem likely to be raised when the appropriate case arises. Given the number of bad faith cases decided by courts sitting in Georgia, a pattern can be adduced, and a practical approach offered to practitioners. Given the frequent citation of the fact that an insurer is entitled to present its well-founded and reasonable defenses without fear of bad faith, an argument can be distilled as to the proper standard for evaluating the insurer’s bad faith defense before trial: if the insurer makes a two-part motion for summary judgment, one as to the defenses to the claim, and one as to the bad faith claim, they should dovetail in appropriate cases: the insurer would move for summary judgment (for example) on its defense of whether the insured was engaged in “business pursuits” (presumed to be excluded in this example) sufficient to avoid the insured’s claim for property damage. The insured would present evidence that he did not engage in business activities sufficient to provide a defense to his claim, and might even make a cross-motion for summary judgment. If the court, after thorough review of all the facts and arguments adduced by the parties, finds that there is a question of fact as to which reasonable minds could differ (hence, no summary judgment), then the insurer’s motion for summary judgment as to the bad faith issues should be granted. To support a cause of action under O.C.G.A. § 33-4-6, the insured bears the burden of proving that the refusal to pay the claim was made in bad faith. A defense going far enough to show reasonable and probable cause for making it would vindicate the good faith of the company as effectually as would a complete defense to the action. 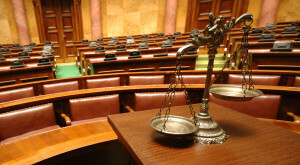 Penalties for bad faith are not authorized where the insurance company has any reasonable ground to contest the claim and where there is a disputed question of fact. As discussed in Division 1 of this opinion, there are disputed questions of fact as to whether BBB is entitled to coverage under the Civil Authority clause of the policy. Because Assurance has reasonable grounds to contest BBB’s claim, by asserting that Brevard County did not deny BBB access to its premises due to actual damage to other property as required by the policy, penalties for bad faith are not authorized. The trial court therefore did not err in granting summary judgment to Assurance on the bad faith claim. 259 Ga. App. 54, 58, 576 S.E.2d 38, 41, citing Moon v. Mercury Insurance Co. of Georgia, 253 Ga. App. 506, 507 559 S.E.2d 532 (2002). (1) that the interior fire in the automobile suffocated and burned out for lack of oxygen, showing that the fire was likely set before the window was broken out; (2) that no glass was found on the ground in the parking lot at Smith’s residence where the automobile was parked prior to the reported theft, creating additional suspicion that the window was not broken out when the automobile was driven from Smith’s residence; (3) that when the automobile was taken from the parking lot at Smith’s residence, it was probably driven with a key because there was no evidence that the steering column lock or the ignition had been compromised or that the automobile had been “hotwired” and started without a key; (4) that Smith had the only keys to the automobile; and (5) that Smith had a motive to make the fraudulent insurance claim because evidence showed she was having trouble making timely payments due on the automobile. 266 Ga. App. at 413, 597 S.E.2d at 502. The court, while not pronouncing it as such, articulated the “reverse directed verdict” standard: “It is the very fact that certain factual issues regarding the merits of a claim are in genuine conflict that causes there to be no conflict, as a matter of law, whether an insurance company had reasonable grounds to contest a particular claim.” Id., citing Moon v. Mercury Insurance, discussed below. In Moon, the issue was whether the insured was a member of her father’s household at the time of the incident at issue. Mercury denied her claim for unpaid medical expenses. While holding that the trial court erroneously granted judgment to the insurer on the claim, the grant of judgment as to bad faith was affirmed, even though the insured might collect on the underlying claim. “It is the very fact that certain factual issues regarding the merits of a claim are in genuine conflict that causes there to be no conflict, as a matter of law, whether an insurance company had reasonable grounds to contest a particular claim.” 253 Ga. App. 506, 509, 559 S.E.2d 532, 535. Shaffer v. State Farm, discussed above, is support for much the same point: the grant of partial summary judgment to the insurer on the bad faith issue was affirmed, the court stating that “it is well-settled law that bad faith penalties are not authorized if an insurer has a reasonable and probable cause for refusing to pay a claim.” 246 Ga. App. 244, 245, 540 S.E.2d 227, 228. While “novel legal question” cases do not lend themselves to this analysis and approach, the appellate courts have generally continued to uphold the insurer’s right to litigate fairly debatable legal questions without bad faith exposure. See, e.g., Giddens v. Equitable Life Assurance Society of the United States, 356 F. Supp. 2d 1313 (N.D. Ga. 2004); Pinkerton & Law, Inc. v. Royal Insurance Co. of America, 227 F. Supp. 2d 1348 (N.D. Ga. 2002); Georgia Farm Bureau Mutual Insurance Co. v. Williams, 266 Ga. App. 540, 597 S.E.2d 430 (2004), cert. denied, 2004 Ga. Lexis 752 (granting an interlocutory appeal to reverse the trial court’s denial of partial summary judgment on bad faith, where there was a question of first impression in Georgia). However, see Fidelity National Title Insurance Co. v. Matrix Financial Services, 255 Ga. App. 874, 567 S.E.2d 96 (2002), where Judge Ruffin’s opinion affirmed a trial court finding that the insurer was liable for the claim and bad faith damages as a matter of law, where the insured issued a title policy to protect a mortgagee which was defrauded by the seller, who purported to convey clear title while “reinvesting” his mortgagees with new (unrecorded) security deeds that they then recorded after the search showed clear title, after the mortgage purchaser (insured) conveyed the mortgage to a BFP, and then voluntarily reacquired the mortgage with knowledge of the defects when it became apparent that there was a problem with the collateral (!) The court noted that the title insurance company had the right to bring a suit to quiet title as against the fraudulent mortgages, but chose to insist that its insured do so. The entire situation as to liability was extremely complex, which did not stop the court from concluding that “[e]ach of Fidelity’s defenses lacks merit as a matter of law,” and the court described the assertion of Fidelity’s defenses as an unreasonable effort to shift its responsibility to its insured. 255 Ga. App. 874, 881, 567 S.E.2d 96, 101. The landscape of first party bad faith claims under Georgia’s Insurance Code is little changed since the dawn of the current century; in some cases the modern analogs of the nineteenth century statutes are still being interpreted using basic principles (and in some cases citing authority) that dates back over a century. The 2001 amendments to Georgia’s bad faith scheme, at first thought to be earth-shattering, turn out to require only a few scattered minor adjustments in approach for the practitioner. In Georgia, an insurance policy is governed by the ordinary rules of contract construction. The hallmark of contract construction is to ascertain the intent of the parties. When the terms of a contract are clear and unambiguous, however, the court should look to the contract alone to find the parties’ intent. In construing an insurance contract, a court must consider it as a whole, giving effect to each provision and interpreting each provision to harmonize with the others. Under Georgia law an insurance company is free to fix the terms of its policies as it sees fit as long as the terms are consistent with the law. It may choose to insure against some risks while excluding others. Additionally, three well-known rules used in the construction of insurance contracts apply. Any ambiguities in the contract are strictly construed against the insurer as drafter of the document; any exclusion from coverage sought to be invoked by the insurer is likewise strictly construed; and insurance contracts are to be read in accordance with the reasonable expectations of the insured where possible. 334 F. Supp. 2d at 1359 (citations omitted). Courts employ various formulations to determine whether a contract is sufficiently unambiguous to avoid construction against the insurer, but the standard appears to have grown stricter with the passing years. From past decades, a contract was ambiguous if it was unclear, or equally susceptible of two divergent meanings. Guest v. Horace Mann Insurance Co., 168 Ga. App. 714, 310 S.E. 2d 241 (1983). In more recent years, courts have increasingly sought to determine whether the language is reasonably susceptible of two different meanings; that is, in effect, whether the phrasing selected eliminates all other reasonable alternatives. See, for example, Arrow Exterminators, Inc., v. Zurich American Insurance Co., 136 F. Supp. 2d 1340. “If a provision of an insurance contract is susceptible of two or more constructions, even when the multiple constructions are all logical and reasonable, it is ambiguous…” Connell v. Guarantee Trust Life Insurance Co., 246 Ga. App. 467, 541 S.E. 2d 403 (2000). Under this test, the insured’s counsel need only to find an arguable meaning that varies from the insurer’s stated intentions. The practitioner would be well advised to keep the possible permutations in mind before beginning to assay the bad faith exposure, and deciding whether it can be excised. (a) In the event of a loss which is covered by a policy of insurance and the refusal of the insurer to pay the same within 60 days after a demand has been made by the holder of the policy and a finding has been made that such refusal was in bad faith, the insurer shall be liable to pay such holder, in addition to the loss, not more than 50 percent of the liability of the insurer for the loss or $5,000.00, whichever is greater, and all reasonable attorney’s fees for the prosecution of the action against the insurer. The action for bad faith shall not be abated by payment after the 60 day period nor shall the testimony or opinion of an expert witness be the sole basis for a summary judgment or directed verdict on the issue of bad faith. The amount of any reasonable attorney’s fees shall be determined by the trial jury and shall be included in any judgment which is rendered in the action; provided, however, the attorney’s fees shall be fixed on the basis of competent expert evidence as to the reasonable value of the services based on the time spent and legal and factual issues involved in accordance with prevailing fees in the locality where the action is pending; provided, further, the trial court shall have the discretion, if it finds the jury verdict fixing attorney’s fees to be greatly excessive or inadequate, to review and amend the portion of the verdict fixing attorney’s fees without the necessity of disapproving the entire verdict. The limitations contained in this Code section in reference to the amount of attorney’s fees are not controlling as to the fees which may be agreed upon by the plaintiff and the plaintiff’s attorney for the services of the attorney in the action against the insurer. (b) In any action brought pursuant to subsection (a) of this Code section, and within 20 days of bringing such action, the plaintiff shall, in addition to service of process in accordance with Code Section 9-11-4, mail to the Commissioner of Insurance and the consumers’ insurance advocate a copy of the demand and complaint by first-class mail. Failure to comply with this subsection may be cured by delivering same. HISTORY: Ga. L. 1872, p. 43, § 1; Code 1873, § 2850; Code 1882, § 2850; Civil Code 1895, § 2140; Civil Code 1910, § 2549; Code 1933, § 56-706; Code 1933, § 56-1206, enacted by Ga. L. 1960, p. 289, § 1; Ga. L. 1962, p. 712, § 1; Ga. L. 2001, p. 784, § 1. THE 2001 AMENDMENT, effective July 1, 2001, designated the existing provisions as subsection (a); in subsection (a), in the first sentence, substituted “50 percent” for “25 percent” and inserted “or $5,000.00, whichever is greater,”, added the second sentence, and substituted “the plaintiff’s” for “his” in the last sentence; and added subsection (b). In the event of a loss which is covered by a policy of insurance and the refusal of the insurer to pay the same within 60 days after a demand has been made by the holder of the policy and a finding has been made that such refusal was in bad faith, the insurer shall be liable to pay such holder, in addition to the loss, not more than 25 percent of the liability of the insurer for the loss and all reasonable attorney’s fees for the prosecution of the action against the insurer. The amount of any reasonable attorney’s fees shall be determined by the trial jury and shall be included in any judgment which is rendered in the action; provided, however, the attorney’s fees shall be fixed on the basis of competent expert evidence as to the reasonable value of the services based on the time spent and legal and factual issues involved in accordance with prevailing fees in the locality where the action is pending; provided, further, the trial court shall have the discretion, if it finds the jury verdict fixing attorney’s fees to be greatly excessive or inadequate, to review and amend the portion of the verdict fixing attorney’s fees without the necessity of disapproving the entire verdict. The limitations contained in this Code section in reference to the amount of attorney’s fees are not controlling as to the fees which may be agreed upon by the plaintiff and his attorney for the services of the attorney in the action against the insurer. (a) In the event of a loss because of injury to or destruction of property covered by a motor vehicle liability insurance policy, the insurer issuing such policy has an affirmative duty to adjust that loss fairly and promptly, to make a reasonable effort to investigate and evaluate the claim, and, where liability is reasonably clear, to make a good faith effort to settle with the claimant potentially entitled to recover against the insured under such policy. Any insurer who breaches this duty may be liable to pay the claimant, in addition to the loss, not more than 50 percent of the liability of the insured for the loss or $5,000.00, whichever is greater, and all reasonable attorney’s fees for the prosecution of the action. (b) An insurer breaches the duty of subsection (a) of this Code section when, after investigation of the claim, liability has become reasonably clear and the insurer in bad faith offers less than the amount reasonably owed under all the circumstances of which the insurer is aware. (c) A claimant shall be entitled to recover under subsection (a) of this Code section if the claimant or the claimant’s attorney has delivered to the insurer a demand letter, by statutory overnight delivery or certified mail, return receipt requested, offering to settle for an amount certain; the insurer has refused or declined to do so within 60 days of receipt of such demand, thereby compelling the claimant to institute or continue suit to recover; and the claimant ultimately recovers an amount equal to or in excess of the claimant’s demand. (d) At the expiration of the 60 days set forth in subsection (c) of this Code section, the claimant may serve the insurer issuing such policy by service of the complaint in accordance with law. The insurer shall be an unnamed party, not disclosed to the jury, until there has been a verdict resulting in recovery equal to or in excess of the claimant’s demand. If that occurs, the trial shall be recommenced in order for the trier of fact to receive evidence to make a determination as to whether bad faith existed in the handling or adjustment of the attempted settlement of the claim or action in question. (e) The action for bad faith shall not be abated by payment after the 60 day period nor shall the testimony or opinion of an expert witness be the sole basis for a summary judgment or directed verdict on the issue of bad faith. (f) The amount of recovery, including reasonable attorney’s fees, if any, shall be determined by the trier of fact and included in a separate judgment against the insurer rendered in the action; provided, however, the attorney’s fees shall be fixed on the basis of competent expert evidence as to the reasonable value of the services based on the time spent and legal and factual issues involved in accordance with prevailing fees in the locality where the action is pending; provided, further, the trial court shall have the discretion, if it finds the jury verdict fixing attorney’s fees to be greatly excessive or inadequate, to review and amend the portion of the verdict fixing attorney’s fees without the necessity of disapproving the entire verdict. The limitations contained in this Code section in reference to the amount of attorney’s fees are not controlling as to the fees which may be agreed upon by the plaintiff and his or her attorney for the services of the attorney. (g) In any action brought pursuant to subsection (b) of this Code section, and within 20 days of bringing such action, the plaintiff shall, in addition to service of process in accordance with Code Section 9-11-4, mail to the Commissioner of Insurance and the consumers’ insurance advocate a copy of the demand and complaint by first-class mail. Failure to comply with this subsection may be cured by delivering same. HISTORY: Code 1981, § 33-4-7, enacted by Ga. L. 2001, p. 784, § 1. EFFECTIVE DATE. –This Code section became effective July 1, 2001. Jon McPhail is the principal of Jon McPhail & Associates, LLC, P.O. Box 783, Alpharetta, GA 30009, 770-442-9566 (V), 770-442-1834 (F), email jonmcphail@mindspring.com. The author gratefully acknowledges the assistance and support of Morris Martin of B.M.Martin & Associates, P.C. of Jasper, GA in the preparation of these materials. All opinions expressed are strictly those of the author. O.C.G.A. § 33-4-6, the first party bad faith statute, traces its history to Ga. L. 1872, p.43, and has been periodically amended or reenacted since, with the most recent significant revision coming in 2001. Any attempt at a comprehensive catalogue of first-party coverage case law would be far beyond the scope of this paper. For a good annual summary, the reader is referred to the annual survey of Georgia insurance law published in the Mercer L. Rev., e.g., Schatz, S., Cotter, S. and Wolff, B., Annual Survey of Georgia Law: Insurance, 56 Mercer L. Rev. 253 (Fall 2004). While this echoes the summary judgment standard, it will be referred to below as a “reverse directed verdict standard,” meaning that the existence of a question for the trier of fact on the coverage question should preclude the trier of fact from receiving the question of the insurer’s liability for bad faith. Note that Judge Barnes’ dissent in McGowan v. Progressive, discussed above, is the only opinion varying from this principle. See K. Wade, Note, 18 Ga. St. Univ. L. Rev. 167 (2001) for an adulatory account of the legislative maneuverings and motivations. Some cases will present special exceptions: where the insured swears that he gave the adjuster a proper proof of loss, which is controverted, that question of fact, if resolved against the insurer, would still provide a basis for a bad faith award if the jury found hat the adjuster had lied about this issue. Similarly, the “pretextual” defenses mentioned in some of the opinions mentioned above, while not the holding of any case, represent a valid concern. The addition of the “Consumer’s Insurance Advocate” office during Governor Barnes’ administration appears to have become, in practice, a “derelict upon the waters of the law.” This author still recommends filing the required reports (and the outcomes of bad faith litigation) with both that office and the Insurance Commissioner’s Office, on the theory that somebody will eventually come looking for them. Georgia courts have rarely paused to consider that insurance is a regulated industry, and that the language must be approved by the Insurance Commissioner’s office, presumably after due consideration of whether it is reasonably clear, and whether it is fair to the insured. This analysis can be seen in the innocent co‑insured context. A fair question could also be raised from the fact that the policy language is frequently taken from industry‑standard forms such as those offered by the Insurance Services Office (ISO). These forms are used nationwide, by a multitude of insurers, and represent the “experts’ best attempt to provide clear and unassailable language in order to provide the insurers predictable results. It might be argued that these contracts should not be construed as strongly against the insurer as language the particular company involved in drafting the policy at issue selected with its own underwriters’ hands. While Arrow is a case determining liability (third-party) coverage for property damage, its examination of the rules applicable to construction of the insurance contract is no different than the first-party cases cited elsewhere in this paper. Founded in 1957, the Southern Loss Association one of the largest organizations in the country devoted to the education of property adjusters.